Love from the Kitchen: Birthday Cheesecake! This beautiful cheesecake is in honor of The Boy and his 12th birthday today. He's grown so fast. Here we are at my wedding - he was not yet three... he loved that tuxedo. And just this summer, I took this reflection picture of us... he's taller than me! 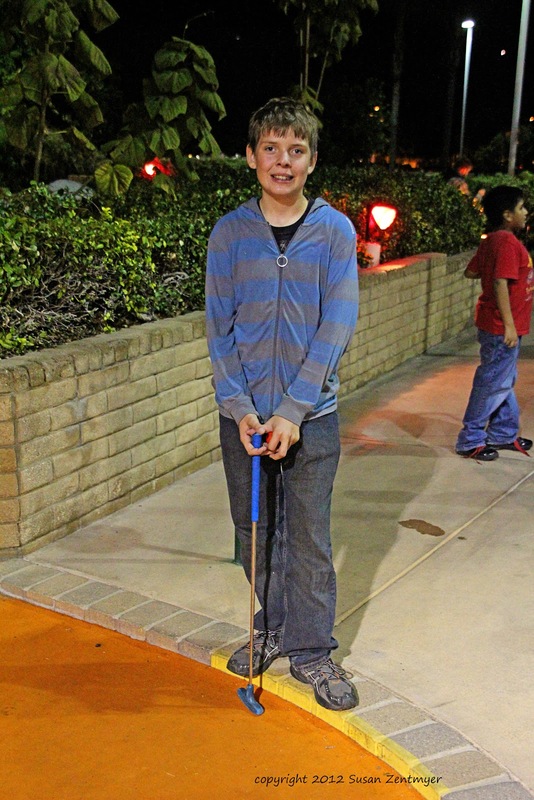 He had his birthday party last night, and had a blast playing mini-golf and riding go-carts with his friends. 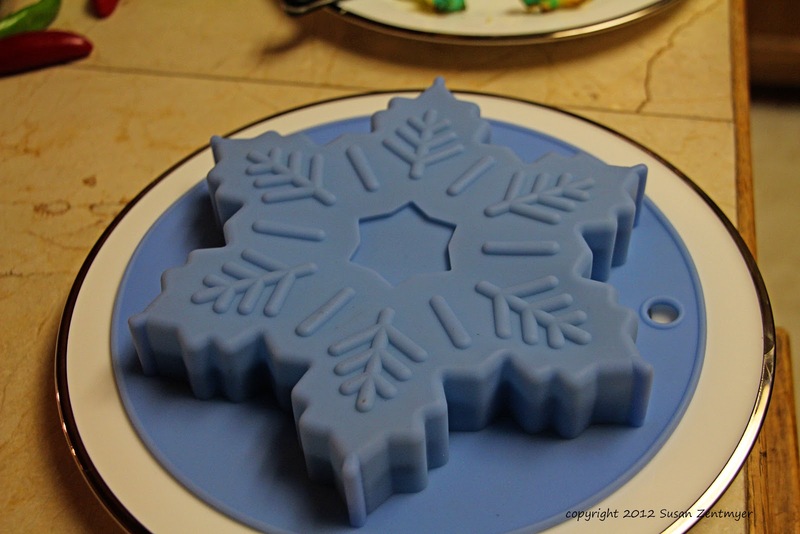 Butter your snowflake mold. 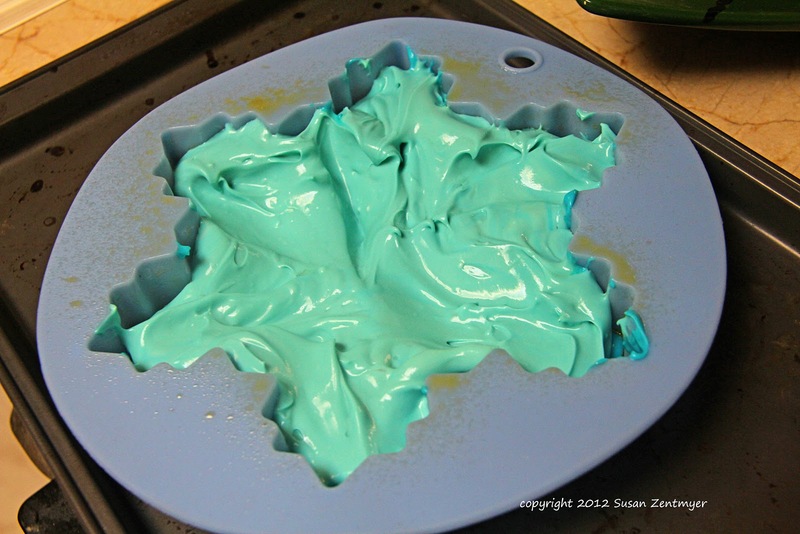 Place the silicone mold on a baking sheet before filling. 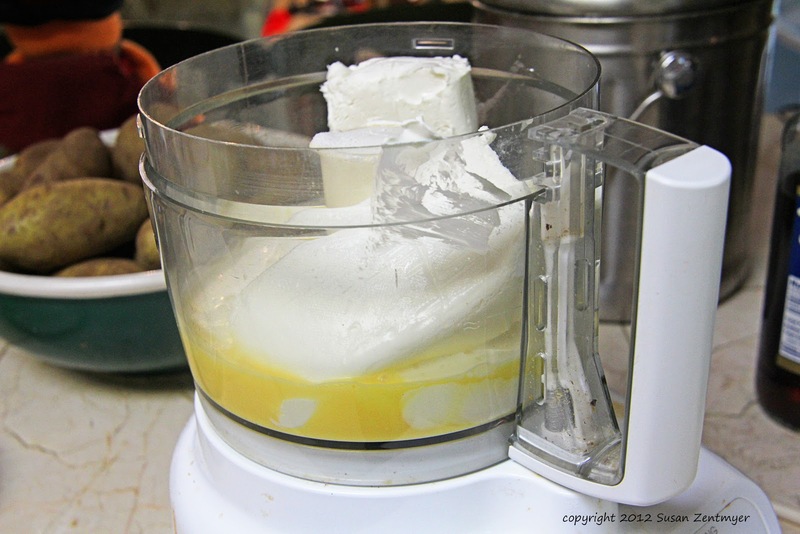 Combine cream cheese, sugar, heavy whipping cream, eggs, and vanilla in the bowl of a food process or pulse until smooth. 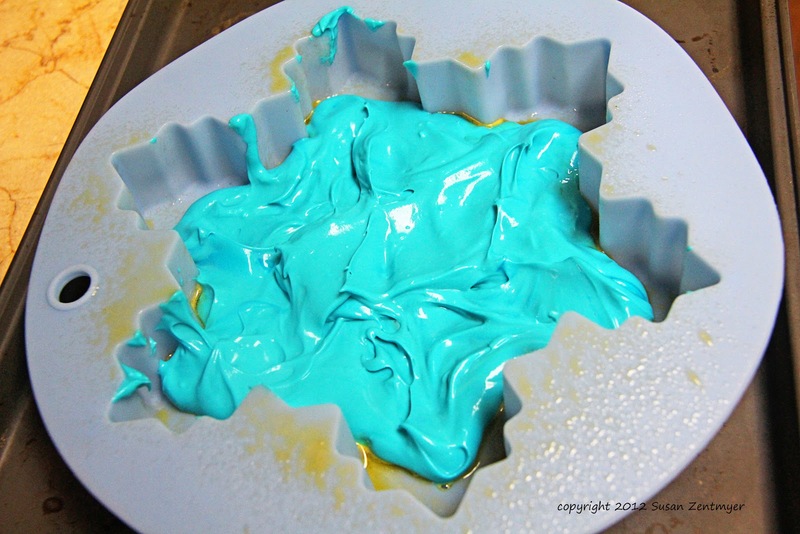 In a small bowl, mix blue food coloring and about 1/3 of the cheesecake mixture. 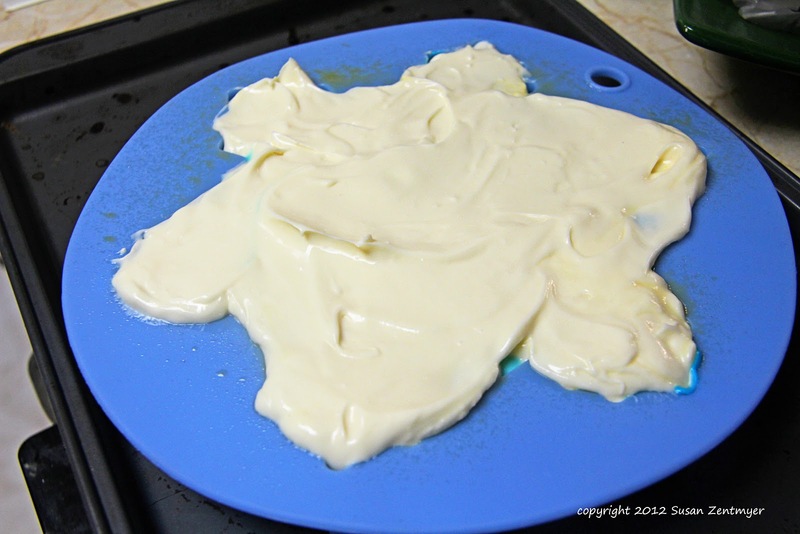 Spread most of it on the bottom of your buttered mold. 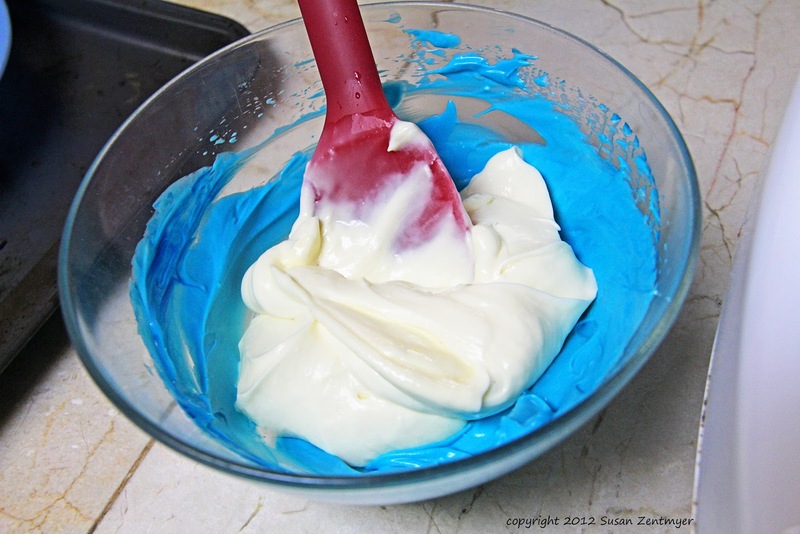 Add 1/3 of the white cheesecake mixture to the remaining blue cheesecake mixture and mix, making a lighter blue color. 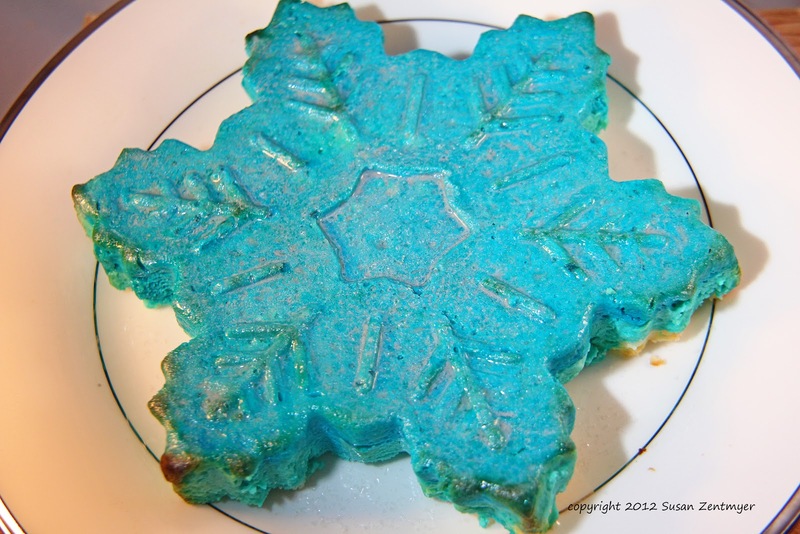 Spread the light blue over the top of the dark blue in your mold. 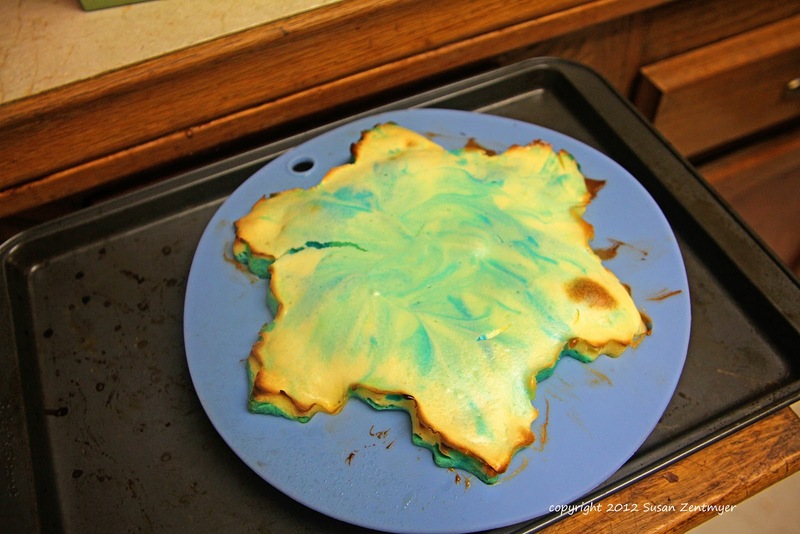 Add the remaining white mixture on the top of the blue. 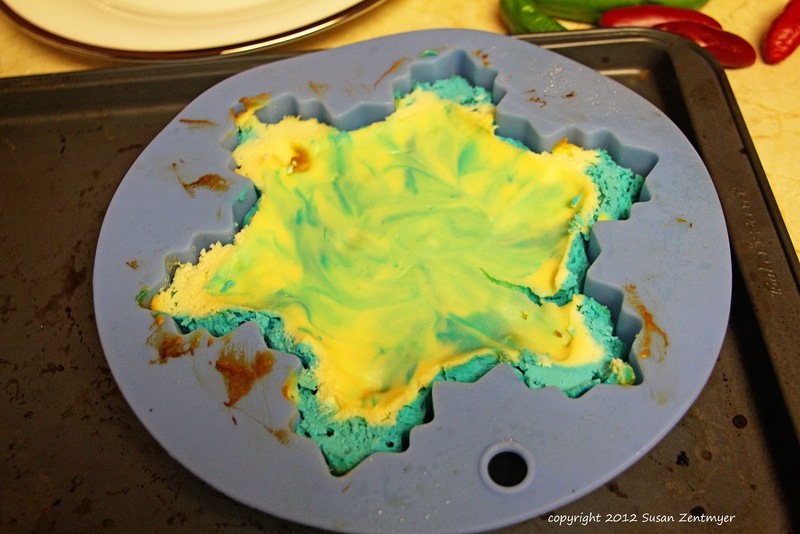 Swirl the mixture around so that it will be marbled when it is sliced. 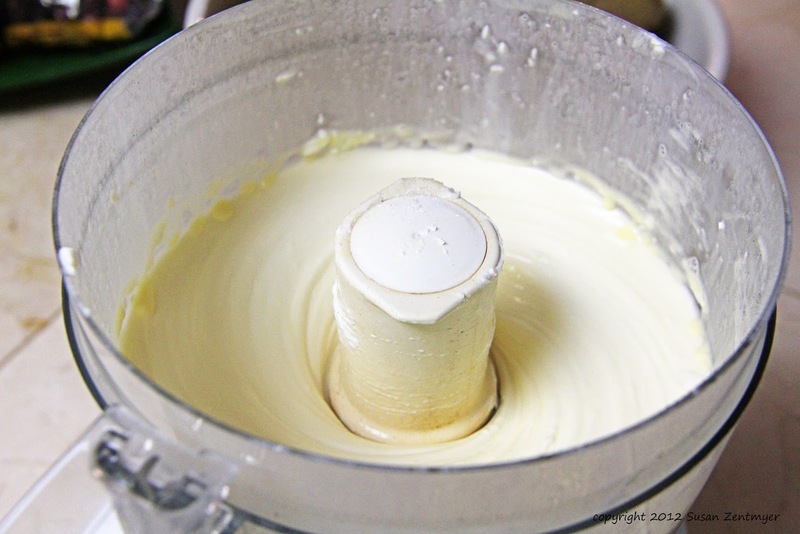 Bake your cheesecakes for about 30 minutes, or until cheesecake center barely moves when pan is touched. Allow your cheesecakes to cool for an hour then refrigerate for at least 3 hours. You may need to trim your cheesecake a bit before unmolding. Because the side that is currently up will be the bottom, you want it to be as flat as possible. With a paring knife, trim any edges that are uneven. 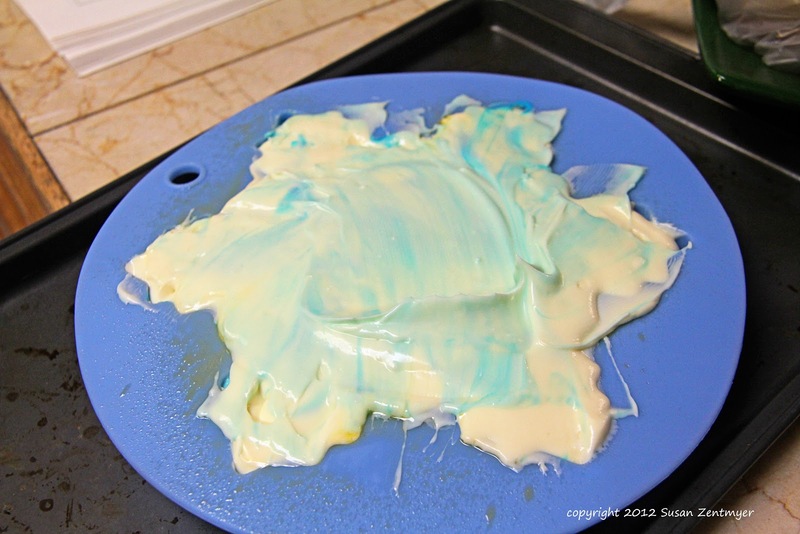 Now, check the sides of the mold to make sure it is not sticking. 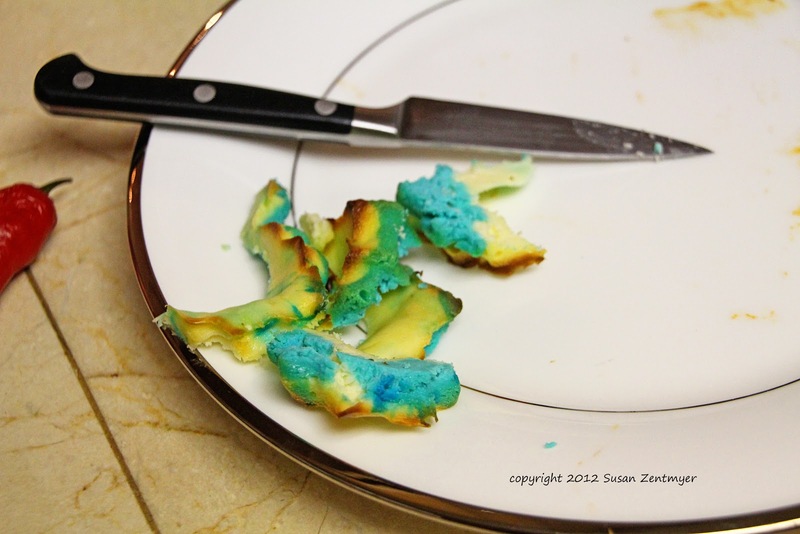 Center your serving plate over the cheesecake and carefully turn the cake over to unmold. They are ready to serve, but can be kept in the refrigerator for several days in an airtight container. This cheesecake has a lovely flavor. I am certain The Boy will be happy to see it tonight when he gets home from school. 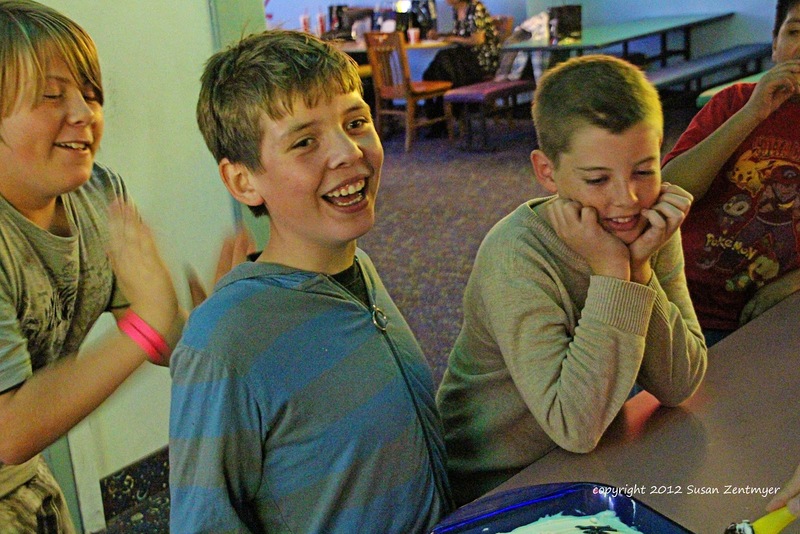 I hope he has an incredible 12th birthday - he deserves it! Happy Birthday to your boy--growing up so much! 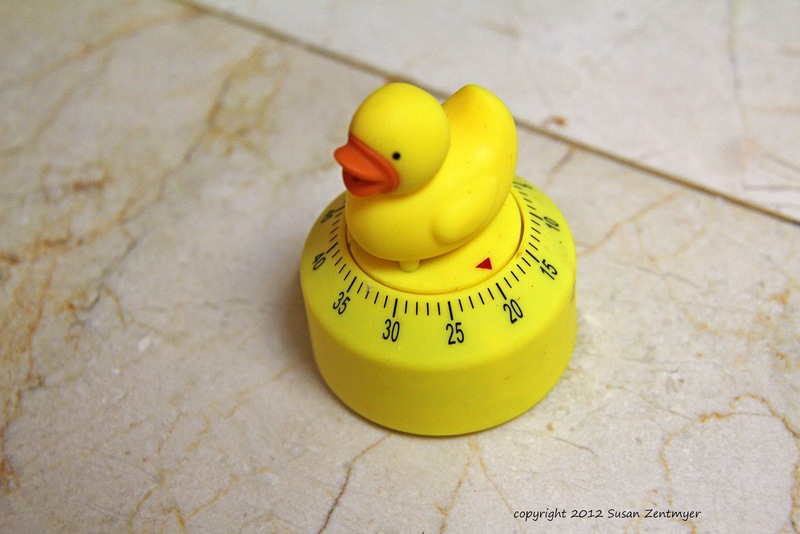 Just found your blog and am excited to read more!